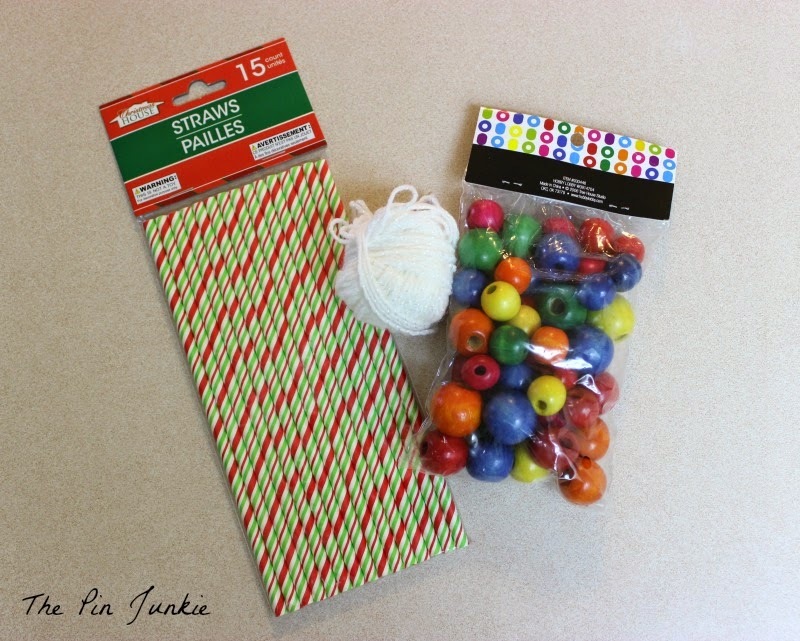 The dollar store has become my new favorite place for craft supplies! On a recent trip, I found the cutest little chocolate candles and I scored some really nice Christmas washi tape. While I was there I grabbed some red and green straws to make a wreath that I saw on Pinterest. My project turned into something completely different and instead of making a wreath, I decided to make a garland for my little Christmas tree. We always buy a big tree to decorate for Christmas, but it takes time to get it home, get it inside, and set it up. Sometimes I get impatient and can't wait for the Christmas decorating to start, so I get out my little tree and decorate it with ornaments I've made. I cut the straws into one inch pieces. I love how they look like pieces of candy! Then just string the straw pieces and wooden beads onto the yarn. 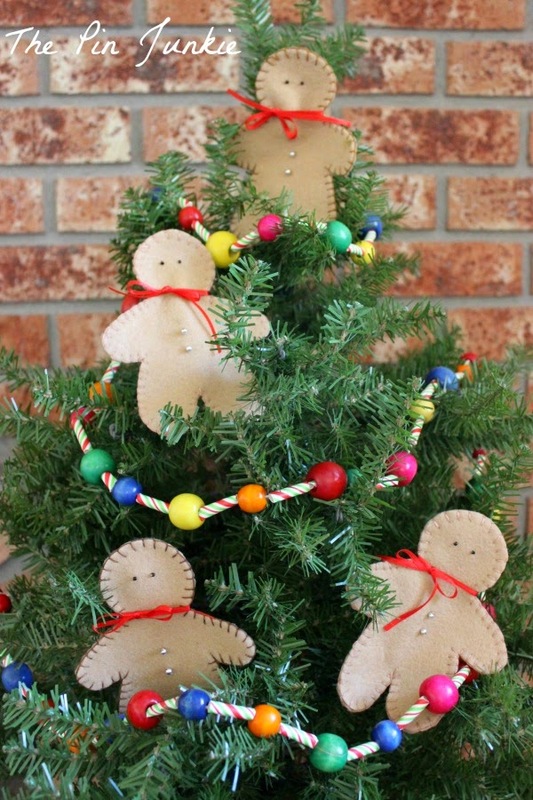 I made the felt gingerbread man ornaments a couple of years ago. You can get the instructions and patterns here. 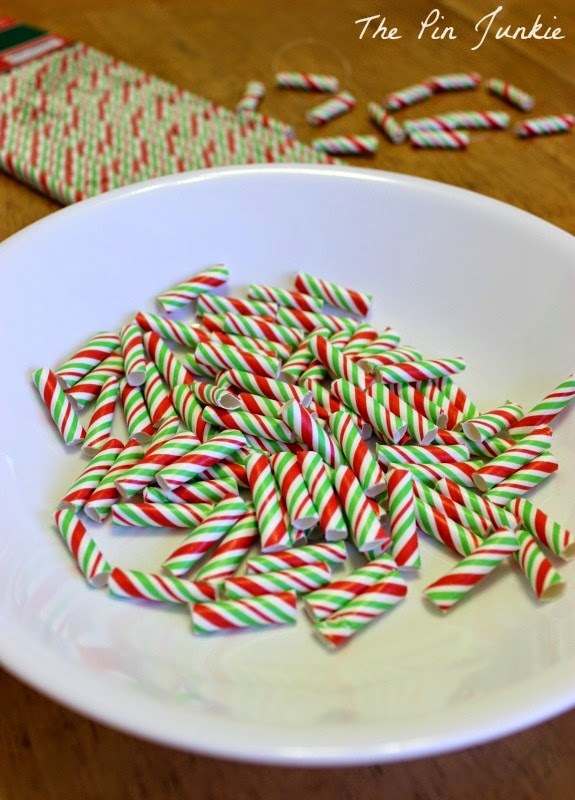 As I was making my garland, I didn't realize how much it would look like candy when it was finished. 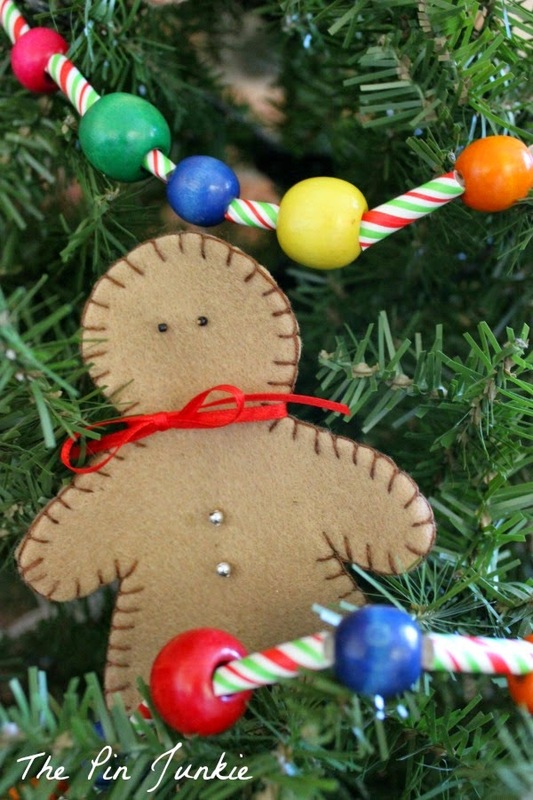 With the candy garland and the gingerbread men, I'm seeing a whole new theme for my little tree this year! It's still looking a little bare and needs a few more ornaments. I'm working on one more set of ornaments and hopefully they'll be ready to share tomorrow! 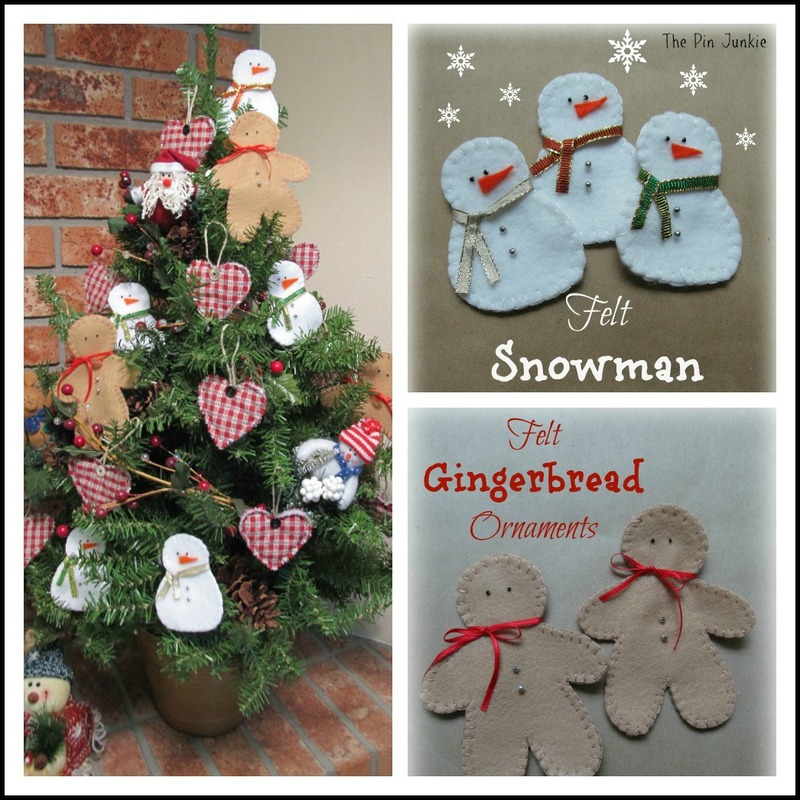 The last couple years, I've done a "homespun Christmas" theme. Here's how I decorated my little tree last year. 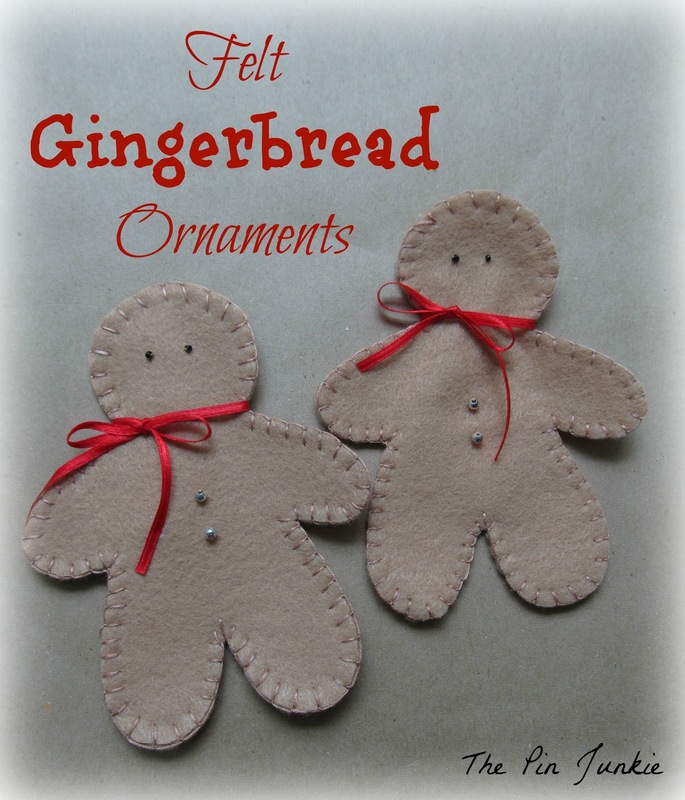 You can get the directions and patterns for making the felt ornaments here. Inspired by this pin for a straw wreath. That is so cute. I might pick up the supplies and do this with my Grandson! Adorable! So clever using the straws as candy! Very cute! I think my kids would enjoy doing this. Thanks for sharing! This is so cute!! Thank you so much for sharing :-) I'm going to share on my FB because I think that my readers will love it too! The garland is darling and you're so creative. 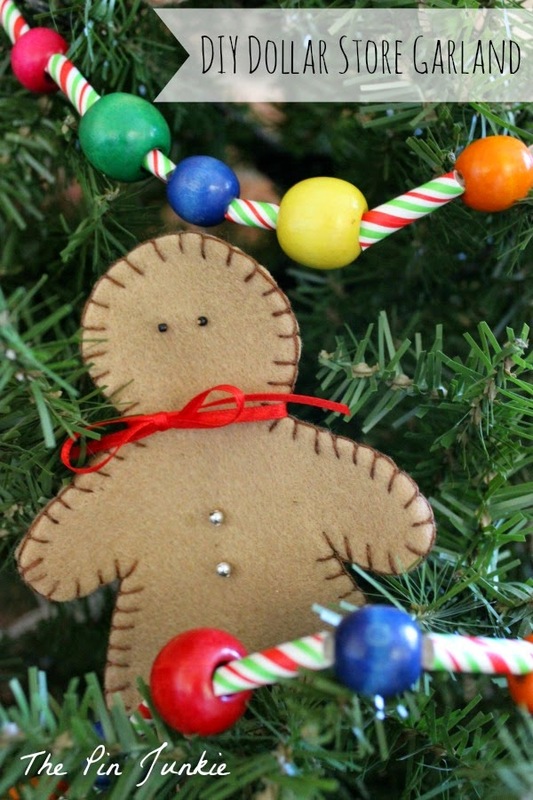 Cute gingerbread men, too. Yay! Love how colorful,cute and easy this is! I love the garland! 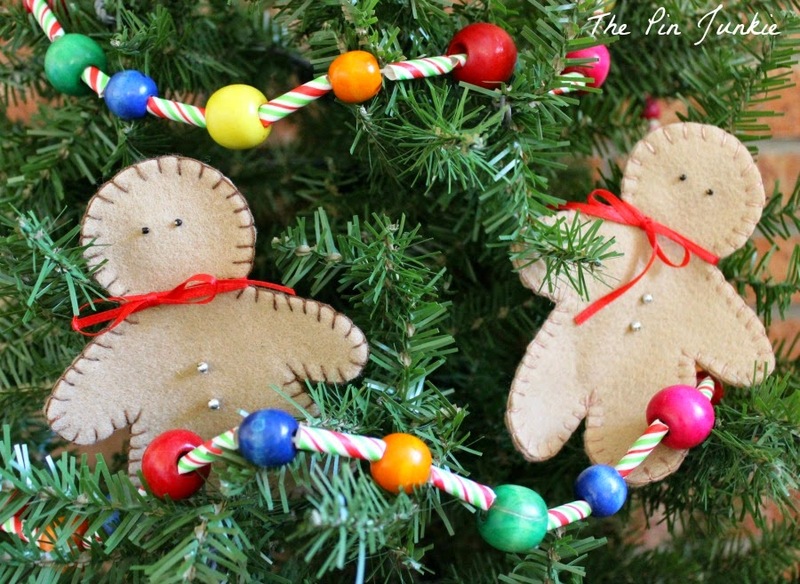 You are right...the garland with the gingerbread ornaments is a smashing combination! Seriously LOVE the Dollar Store!!! Cute ideas ! Thank you for linking at Bloggers Brags . I have pinned to Bloggers Brags Pinterest board. We would love to see you today at the party. Love this idea! So colorful and perfect for a children's Christmas tree!